ArcGIS 10.4 includes exciting new capabilities for visualizing and analyzing data. This release builds on recent improvements and new features added to ArcGIS Online and ArcGIS Pro, including vector tiles, 3D scenes, and new formats for imagery. Vector tile maps download quickly, look great on high-resolution displays, and are easy to style and update. Users can customize the look and feel of vector tile maps and layers by simply editing the style of a tile layer. For example, users can change the colors for an existing map style to create a different look for the map, or provide separate styles for two different languages and then present the appropriate one to end users based on their location or preferred region. In November 2015, ArcGIS Online introduced initial support for vector tiles by providing a set of vector basemaps as both layers and web maps. Now, with the release of ArcGIS Pro 1.2 and ArcGIS 10.4 for Server, users can generate vector tiles from their own data and share them as vector tile layers and vector basemaps using either ArcGIS Online or Portal for ArcGIS. The vector basemaps can be displayed in most web browsers. A local scene displays slices of geography in a projected coordinate system. ArcGIS Pro 1.2 users can create and configure vector tiles. Once the vector tile layers are created, users can zip up the content into vector tile packages and upload those packages to their portals (both ArcGIS Online and Portal for ArcGIS). The vector tile package makes it easy to update and restyle vector layers because the package contains both the tiles and the style information for that layer. Users can download a vector tile package, modify the style settings to emphasize specific features based on end-user needs, and then share the new package back to the portal for others to use. Later this year, vector tile maps will be available in more desktop and mobile apps as well. 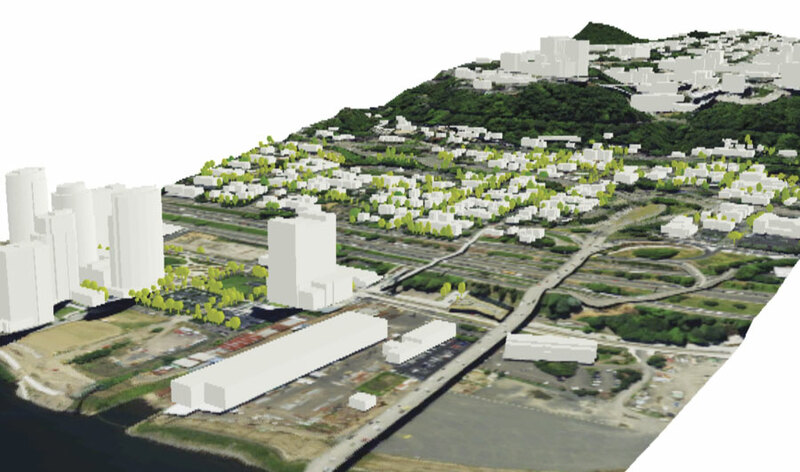 ArcGIS customers can share 2D and 3D information in standard, scalable formats that allow the same maps and scenes to be reused by multiple clients. 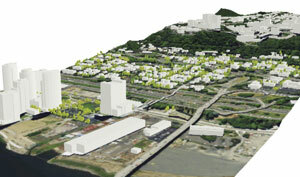 At ArcGIS 10.4, customers get new ways to visualize 3D data. Global scenes, which comprise the Scene Viewer's primary environment, display 3D content in a global coordinate system (WGS84), shown in the form of a sphere. This global canvas is well suited to data that extends across large distances and where the earth's curvature must be taken into account. At ArcGIS 10.4, Scene Viewer also contains a new local scene view. Local scenes are better suited to small-extent data (for a college campus, for example) and allow the display of layers in projected coordinate systems. These local views can also be very effective for scientific and underground data display, where the relative size of features is a more important display requirement than the physical location of the content on a spheroid. To improve the performance and visualization of large point datasets (including preset symbols), 3D point layers can now be shared in Portal for ArcGIS 10.4 as scene layers. 3D point layers can be shared as individual web scene layers or as part of a web scene and then used in ArcGIS Pro or Scene Viewer. Mobile map packages allow users to zip up and share basemaps and operational layers in one bundle. This new format supports high compression if the content is delivered as read-only layers. Operational layers can be queried and analyzed within the map viewer and used in specialized apps, such as Navigator for ArcGIS. At ArcGIS 10.4, ArcGIS Pro 1.2 users can create and publish mobile map packages in Portal for ArcGIS and ArcGIS Online. Later in 2016, a wider array of apps will support mobile map packages as well. ArcGIS 10.4 includes numerous enhancements to imagery classification, processing, and management. ArcGIS now supports an even wider range of satellite sensors, including Sentinel-2, SPOT-7, WorldView-3, and a variety of Chinese sensors. Additionally, customers who work with massive volumes of imagery can use two new formats: Meta Raster Format (MRF) and Cloud Raster Format (CRF). MRF makes it easier to store large volumes of imagery and rasters in the cloud. It reduces the cost of storage and enables users to access imagery quickly. MRF uses Amazon Elastic Compute Cloud (EC2) making it simple to scale. CRF is optimized for analytical results and allows users to do parallel processing of rasters on multiple machines. A base implementation of CRF is included in ArcGIS 10.4. This format will be a key part of new raster analytics capabilities coming later this year. The release of ArcGIS 10.4 introduces many ways to effectively communicate the nuances and patterns that exist in all data. Vector tile layers improve the quality and performance of digital maps. Local scenes provide practical virtual environments that anyone can use to explore and better understand their data in context. And imagery—no matter where it comes from—is getting easier to use and manage. These improvements with ArcGIS 10.4 are setting the stage for even more impressive capabilities coming in subsequent releases.